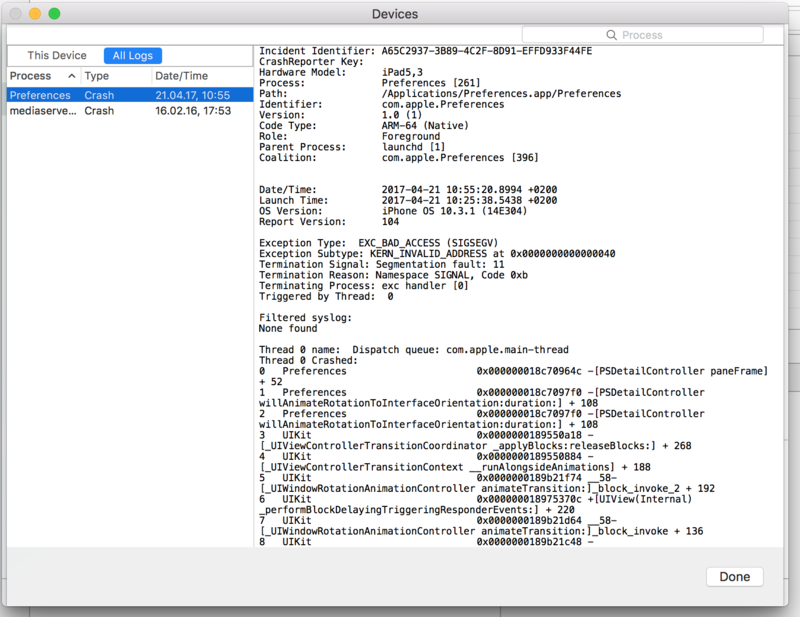 The best way to analyze a crash in an iOS app is if you can reproduce it directly in the iOS simulator in debug mode or on a local device connected to Xcode. Sometimes you have to analyze a crash that happened on a device that you do not have direct access to. Maybe the crash was discovered by a tester who is located in a remote place. In this case the tester must transfer the crash information to the developer and the developer has to import it in Xcode. 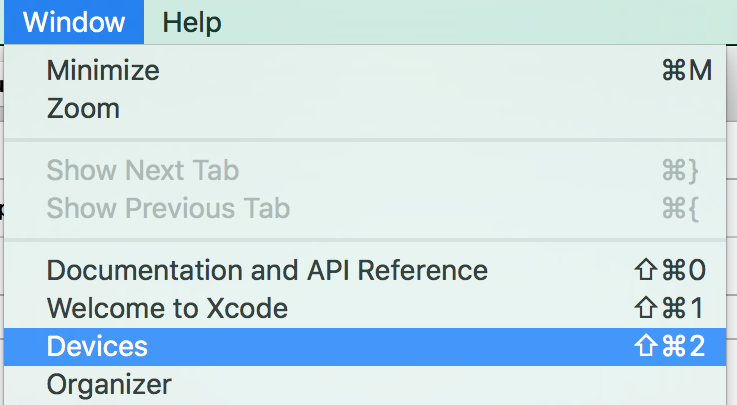 The iOS and Xcode functionalities for this workflow are a bit hidden, so that the following step-by-step guide can help. 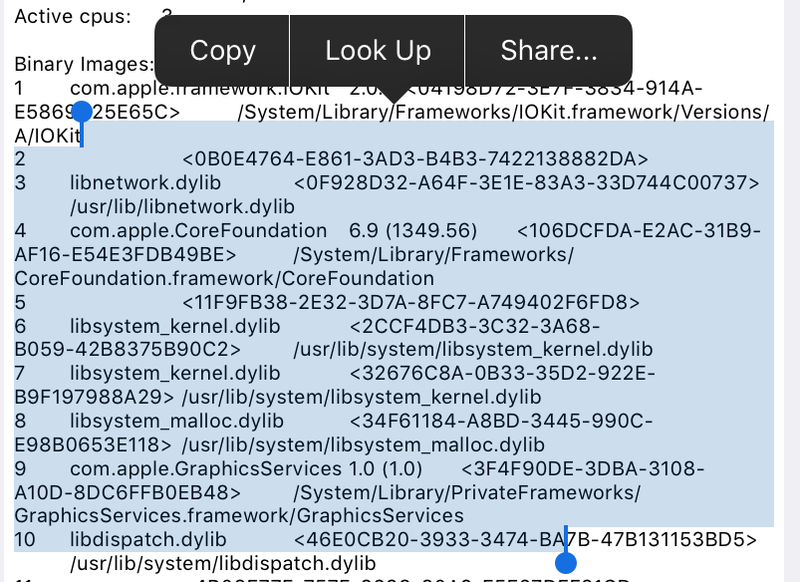 iOS stores crash dumps for every crash that occured. 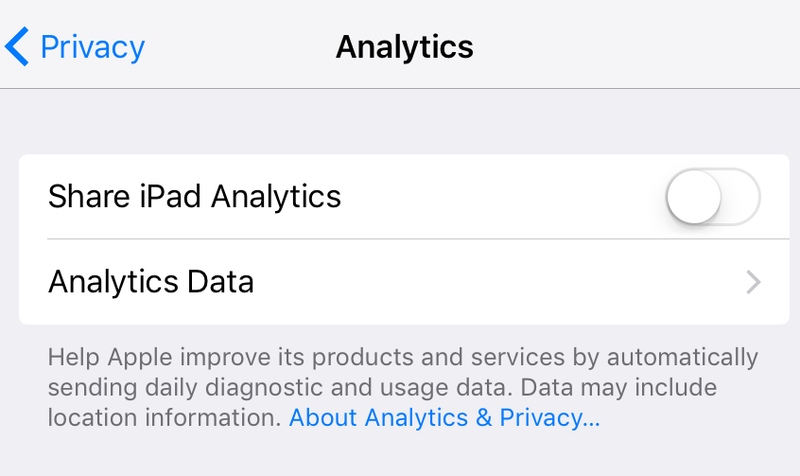 You can find them in the Settings app in the deeply nested menu hierarchy under Privacy -> Analytics -> Analytics Data. There you can select the crash dump. If you tap on a crash dump you can see its contents in a JSON format. You can select this text and send it to the developer. Unfortunately there is no “Select all” option, you have to select it manually. It can be quite long because it contains the stack traces of all the threads of the app. 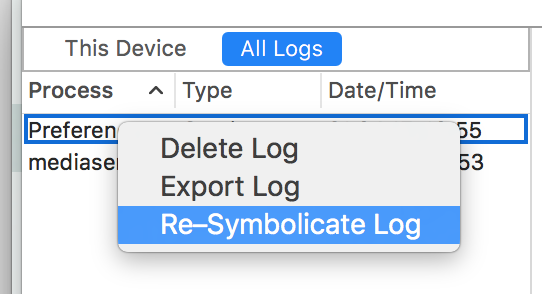 To import the crash dump into this dialog select the “All Logs” tab and drag & drop the “.crash” file into the panel on the left in the dialog. Now you’re good to go and you should finally be able to find the cause of the crash. Scalability and performance are often used interchangeable but they are very different. The resource consumption of a program is its performance. So performance looks at a specific part of a program, say the user activating an action and tries to fix the input and circumstances. Scalability defines how the resource consumption of a program changes when additional resources are added or the input size increases. So a program can have good performance (it runs fast) but when the load increases it can behavely badly (a bad scalability). Take bubble sort for example. Since the algorithm has low overhead it runs fast with small arrays but when the arrays get bigger the runtime gets worse. It doesn’t scale. We call such an algorithm linear because the resource consumption grows linear with the increase in input size. Why does this matter? Let’s look at an example. Why does this all matter? If our algorithm runs quadratic, so O(n^2) and our input size is n = 1000, we need a multitude of 1 million operations. If it is linear it just needs a multitude of 1000 operations, much less. Reducing the complexity of an algorithm can be business critical or the difference between getting an instant result or losing a customer because he waited too long. Time complexity isn’t the only complexity you can measure other resources like space can also be measured with big O. I hope this clears some questions and if you have further ones please feel free and leave a comment. One field of expertise our company provides is the continuation of existing software projects. While this sounds very easy to accomplish, in reality, there are a few prerequisites that a software project has to provide to be continuable. The most important one is the source code of the system, obviously. If the source code is accessible (this is a problem more often than you might think! ), the biggest hurdle is now the mindset and initial approach of the developers that inherit it. Most developers have a healthy “greenfield” project mindset. There is a list of requirements, so start coding and fulfill them. If the code obstructs the way to your goal, you reshape it in a meaningful manner. The more experience you have with developing software, the better the resulting design and architecture of the code will be. Whether you apply automatic tests to your software (and when) is entirely your decision. In short: You are the master of the code and forge it after your vision. This is a great mindset for projects in the early phases of development. But it will actively hinder you in later phases of your project or in case you inherit foreign code. For your own late-phase projects and source code written by another team, another mindset provides more value. The “brownfield” metaphor doesn’t describe the mindset exactly. I have three metaphors that describe parts of it for me: You’ll need to be an archeologist, a forensicist (as in “securer of criminal evidence”) and a minefield clearer. If you hear the word archeologist, don’t think of Indiana Jones, but of somebody sitting in the scorching desert, clearing a whole football field from sand with only a shaving brush and his breath. If you think about being a forensicist, don’t think of your typical hero criminalist who rearranges the photos of the crime scene to reveal a hidden hint, but the guy in a white overall who has to take all the photos without disturbing the surrounding (and being disturbed by it). If you think about the minefield clearer: Yes, you are spot on. He has to rely on his work and shouldn’t move too fast in any direction. This sets the scene for your initial journey inside foreign source code: Don’t touch anything or at least be extra careful, only dust it off in the slightest possible manner. Watch where you step in and don’t get lost. Take a snapshot, mental or written, of anything suspicious you’ll encounter. There will be plenty of temptation to lose focus and instantly improve the code. Don’t fall for it. Remember the forensicist: what would the detective in charge of this case say if you “improved the scenery a bit” to get better photos? 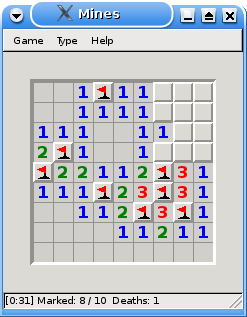 This process reminds me so much of a common approach to the game “Minesweeper” that I included the minefield clearer in the analogy. You start somewhere on the field and mark every mine you indirectly identify without ever really revealing them. Most likely, you don’t find any tests or an issue tracker where you can learn about the development history. With some luck, you’ll have a commit history with meaningful comments. Use the blame view as often as you can. This is your archeological skills at work: Separating layers and layers of code all mingled in one place. A good SCM system can clear up a total mess for you and reveal the author’s intent for it. Without tests, issues and versioning, you cannot distinguish between a problem and a solution, accidental and deliberate complexity or a bug and a feature. Everything could mean something and even be crucial for the whole system or just be useless excess code (so-called “live weight” because the code will be executed, but with no effect in terms of features). To name an example, if you encounter a strange sleep() call (or multiple calls in a row), don’t eliminate or change them! The original author probably “fixed” a nasty bug with it that will come back sooner than you know it. One kind of new version only incorporates refactorings to the existing code. If anything goes wrong or seems suspicious, you can easily bail out and revert to the previous version without losing functionality. The other kind only contains new features, added with as little change to existing code as possible. Hopefully, this release will not break existing behaviour. If it does, you should double-check your assumptions about the code. If reasonably achievable, do not assume anything or at least write an automatic test to validate your assumption. Personally, I call this approach the “tick-tock” release cycle, modelled after the release cycle of Intel for its CPUs. A very important aspect of software development is to know when to “change gears” and switch from greenfield to brownfield or from development to maintainance mode. The text above describes the approach with inherited code, where the gear change is externally triggered by transferring the source code to a new team. But in reality, you need to apply most of the practices on your own source code, too. As soon as your system is in “production”, used in the wild and being filled with precious user data, it changes into maintainance mode. You cannot change existing aspects as easily as before. While in conventional development reducing complexity to a minimum is a valuable strategy for making the code easy to understand, in framework development it is often more cost-effective to add complexity in order to enhance the framework developer’s ability to improve the framework without breaking client code. I not only agree with this statement but think that it partly applies to “conventional development” in maintainance mode, too. Sometimes, the code needs additional complexity to cope with existing structures and data. This is the moment when you’ve inherited your own code.